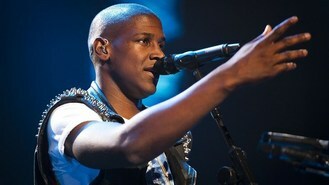 Labrinth has revealed he likes defying his audience's expectations. The Earthquake singer told The Sun: "People just think, 'Oh, pop artist, he'll just sing with Auto-Tune and won't know how to perform'. But then people actually see the show and realise I write my own music and can put on a show." He added: "Preconceptions are amazing. You've got an even bigger chance to blow people away." Despite his success, the Hackney-born songwriter won't be resting on his laurels. Lab said: "I can see why some artists get stuck in a rut, I mean, McDonalds has been selling the same burgers for years and that's why we love it. But I'd rather not be the same guy constantly." He added: "I want to be able to release a hip-hop track and then a classical one straight after and for no one to think that it's slightly odd." Justin Bieber says he won't be "just another teen heartthrob". Lady Gaga has taken to the stage in Amsterdam and talked about the "medical wonders" of marijuana. The Saturdays have insisted they won't be devoting all their time to cracking the US - because they'd miss home too much. Pink has admitted she would be pregnant with her second baby if she wasn't preparing to tour. Congratulations have flooded in for pop singer Robbie Williams after his wife, Ayda Field, gave birth to their daughter. Robbie Williams has become a father to a baby daughter. Popstar Robbie Williams has become a father. Singer Emeli Sande has married boyfriend Adam Gouragine. Ronnie Vannucci, the drummer for Las Vegas rockers The Killers, has praised the support his band have received in the UK.